To help women dealing with divorce, we've created this collection of Minnesota divorce tools, giving you easy access to divorce law references and services which can help with your separation or divorce. You'll find skilled divorce attorneys and mediation services to assist you, a child support guidelines calculator, and other resources to help you understand how to get a divorce or separation. There are resources offering domestic violence help, different divorce classes for parents, and other related resources as well. Residency requirements: In order for a dissolution of marriage to be granted, one of the parties needs to have lived in Minnesota for at least 180 days before starting the case. Where to file - Proceedings for legal separation or dissolution should be filed in the Minnesota county where either spouse lives. Divorce grounds in Minnesota - The only cause of divorce the court recognizes is an irretrievable breakdown of the marriage relationship. Legal Separation - Either spouse, or both spouses jointly, can file a petition for a legal separation. If neither party contests the petition or has filed for dissolution, the court will grant the legal separation. A legal separation can cover the same rights and responsibilities as a divorce, but doesn't end the actual marriage. If the couple later wants to terminate their marital status, they will need to go through the Minnesota dissolution process. 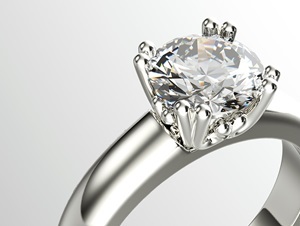 Neither spouse has non-marital assets in excess of $25,000. If both spouses agree on all the issues, file a joint declaration, and meet the statutory qualifications, the court can enter a decree of dissolution 30 days after filing. Mandatory parent education program - Parents are required to attend an educational program about how divorce, judicial proceedings, and the restructuring of the family unit will impact their children. Unless otherwise stipulated, the parents must attend the parent education program within 30 days of filing or as soon as possible given the class schedule. In cases of domestic abuse, spouses may attend separate education sessions. The duration of marriage and contribution of each party to the acquisition, preservation, depreciation or appreciation in value of the marital property, included the contributions as a homemaker. Each spouses age, health, needs, any prior marriage, occupational skills and employability, sources and amounts of income, assets and debts, and prospects for acquiring capital assets in the future. In certain situations, the court can award non-marital property to the other spouse if the property settlement would cause an unfair financial hardship. Spousal maintenance / alimony - The court can grant an order for maintenance if a spouse lacks sufficient property or resources to be self-supporting, or is unable to be self-supporting through appropriate employment or unable to work due to caring for a dependent child. Each spouse's contribution or depletion of the marital estate, including contributions as a homemaker or the advancement of the other spouse's earning capacity. Spousal maintenance may be awarded either on a temporary or permanent basis. Permanent support orders may be modified upon proof of a substantial change of circumstances to justify the modification. The obligation to pay maintenance ceases if either party dies or the party receiving maintenance remarries. Each parent's ability to nurture the child while encouraging an ongoing relationship with the other parent. Unless there have been issues of domestic abuse or if the parents are unable to cooperate with each other, the court prefers for the parents to share legal custody. 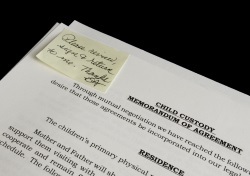 If both parents agree and it's in the best interest of the child, a judge will usually grant joint physical custody. Parenting plans - The court prefers for parents to voluntarily create a parenting plan. If they can't agree on a parenting plan, the court may create one for them, unless there have been issues of domestic abuse. A parenting plan must include how decision-making responsibilities regarding the child will be designated, the schedule of time the child spends with each parent, and how future disputes regarding parenting issues will be resolved. The parenting plan can also include other matters regarding the child's care and upbringing. Basic support. Basic support includes the amount ordered for the child's basic living and educational expenses. Child care support. - This includes the cost of child care when a parent is working or going to school. Medical and dental support - This includes the cost of providing medical or dental insurance for the child, along with the out-of-pocket medical and dental expenses. To calculate the basic support, the guidelines take into consideration the parenting time schedule. The number of overnights a child spends with a parent is used to calculate the percentage of parenting time. If a parent has the child less than 10% of the time, the will be no adjustment to the obligation. If a parent has the child between 10% and 45% of the time, the support obligation will be reduced by a 12% adjustment. For percentages between 45.1% and 50%, the court presumes parenting time is equal and no adjustment is applied to the support order. Child support ends when the child graduates or turns 18, whichever comes first, or if the supporting parent dies, unless there are provisions otherwise. Counties Served: Dakota, Washington, Ramsey, Hennepin, Anoka, Scott, Carver, Sherburne and Rice. The law firm of Eric C. Nelson, Attorney was established in 1996 and is devoted solely to the practice of family law in Minnesota. Over the years he has resolved hundreds of divorce and family law cases, helping clients resolve child custody, support and visitation issues, relocation requests, domestic violence and harassment matters, the establishment of alimony, modifications of child custody orders, and other family law issues. Eric C. Nelson strives to help clients get the best outcome from their divorce and is comfortable handling cases in court if the need arises. Call for a free initial phone consultation. Visit the website for a trove of informative articles and FAQs. Need a Divorce Lawyer? Find a lawyer that fits your needs by explaining your legal situation. This free and confidential service will match you with pre-screened local attorneys interested in taking your case. Parent Education Classes by District - if parents do not agree on custody or parenting time issues, they will need to attend a certified divorce education program. You can access the contact and registration information for each district by scrolling down the page to the section labeled Divorce Education Class for Parents. Children in Between - This is a parenting program which encourages divorced parents to put their children's needs first, teaching them how to effectively communicate with the other parent, the pitfalls to avoid, and how to resolve custody and visitation conflicts. This online course is approved by the majority of district courts in Minnesota. Be sure to verify your court's acceptance of this program prior to enrolling. This program offered through the University of Minnesota Extension, and approved by the Minnesota Supreme Court, fulfills the mandatory parent education class required for separating and divorcing parents. This service helps you complete the required documents and papers for an uncontested divorce by having you answer a variety of questions about your unique situation. The resulting documents are accurately filled in with your situation and ready to be filed. You'll even get instructions on submitting the paperwork to the court. 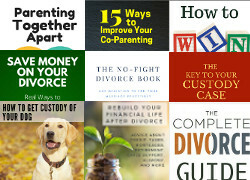 This service also provides divorce eBooks and products that can help you locate the answer you need about the divorce process. Learn more about this online divorce option for Minnesota. Custom QDRO Documents - Individuals and lawyers alike can use QdroDesk to accurately prepare a Qualified Domestic Relations Order as well as the required administrative documents. The smart question and answer technology makes it easy to draft documents that are ready for execution and approval.